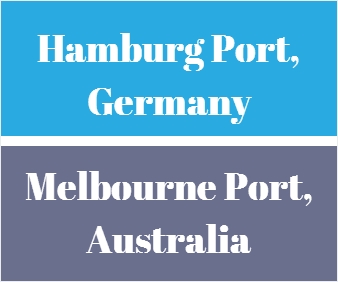 What is the transit time between Hamburg Port and Melbourne Port? An exporter and importer must know the transit time between the port of loading and port of discharge for a particular transaction for various reasons. 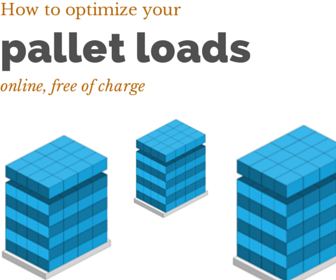 By knowing the transit time between loading and discharge ports, you can prevent any possible demurrage and detention charges. Port of Melbourne is one of the key container ports in Australia. The Port of Melbourne is the main seaport that is serving to Victoria region and south-eastern Australia. Melbourne Port also one of the largest international maritime hub for containerised cargo. As a result the transit time between Hamburg Port and Melbourne Port is an important piece of information for exporters and importers using this container freight route. Let me try to show you the transit time between Hamburg Port and Melbourne Port via different container liners as belows. What is the transit time between Hamburg Port and Melbourne Port via MSC? MSC follows Hamburg, Sydney and Melbourne Port route with its own or chartered container vessels. The transit time is around 49 days via transshipment at Gioia Tauro Port, Italy. You can search MSC's Hamburg Port to Melbourne Port current vessel schedules from this link. What is the transit time between Hamburg Port and Melbourne Port via Hapag-Lloyd? Hapag-Lloyd transports containers from Hamburg Seaport, Germany to Melbourne Seaport, Australia with follows destinations: Hamburg Port, Rotterdam Port, Le Havre Port, Fremantle Port and Melbourne Port route with its own container vessels. The transit time is around 38 days and there is no transshipment information can be gathered from Hapag-Lloyd's website. I think they complete the European side of the journey with smaller feeder vessels and remaining journey with bigger ocean vessels. You can search Hapag-Lloyd's Hamburg Port to Melbourne Port current vessel schedules from this link.